A first for Gentlemen and Tarpaulins this week, as I welcome my first ever guest blogger! 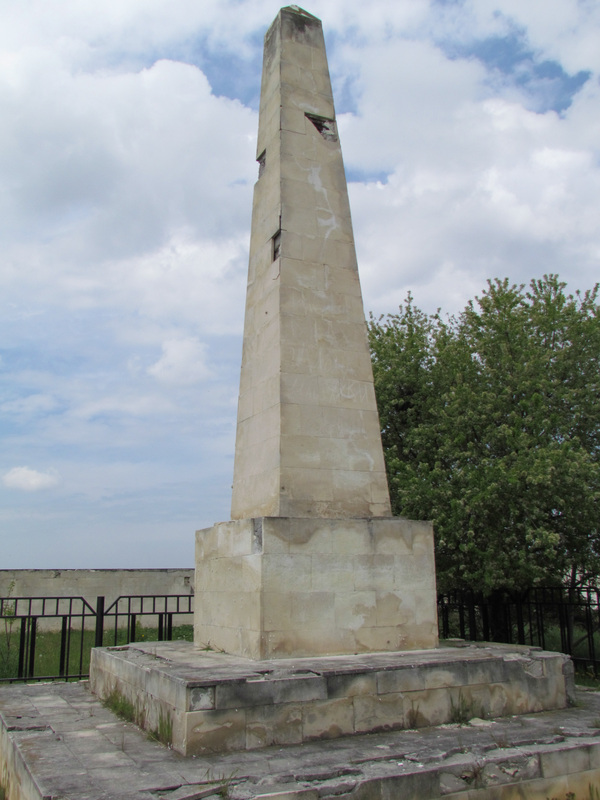 I’m delighted that bestselling novelist Louise Berridge has provided this post about the Crimean War and the campaign for a new memorial to those who fought and died in it. More guest bloggers to come later in the year, but in the shorter term, there won’t be a post next week as we’ll be away on holiday. (To be exact, we’ll in a Scottish castle which featured as the backdrop in the original video to Paul McCartney’s Mull of Kintyre, and which is also very close to the setting for the climactic scenes of Gentleman Captain!). The blog will return on Monday 21st October, Trafalgar Day, with my report on the Cardiff conference of Morol, the Welsh Institute of Maritime Historical Studies, which I’m speaking at. In the meantime, over to Louise! The words ‘worthy cause’ and ‘Crimean War’ don’t feel a very good fit. The Crimean was a war of imperial expansionism, in which Russia sought to fight a last crusade against the ‘heathen Turks’, and the Allies pretended a humanitarian intervention to protect their own interests. It was a war characterised by arrogance and stupidity on both sides, and when Sergeant Timothy Gowing of the Royal Fusiliers wrote that ours was ‘a rotten cause’ there were few who could disagree. What on earth could be worthy in all that? Just one thing, in my opinion. The men who were sent to fight it. It’s natural for novelists to believe there’s something special about the soldiers and sailors they write about. I can certainly be incurably sentimental about mine, if only because I’ve read their letters and diaries and have the spurious feeling I ‘know’ them. 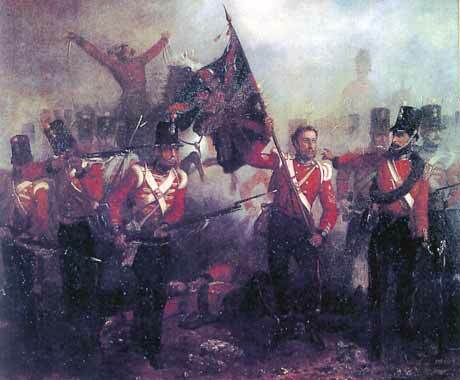 Yet the men in Crimea were certainly the first of a new kind of soldier, and I doubt we’ll ever see their like again. There were to be no winter quarters for anyone, and nearly 23,000 of them never came home. 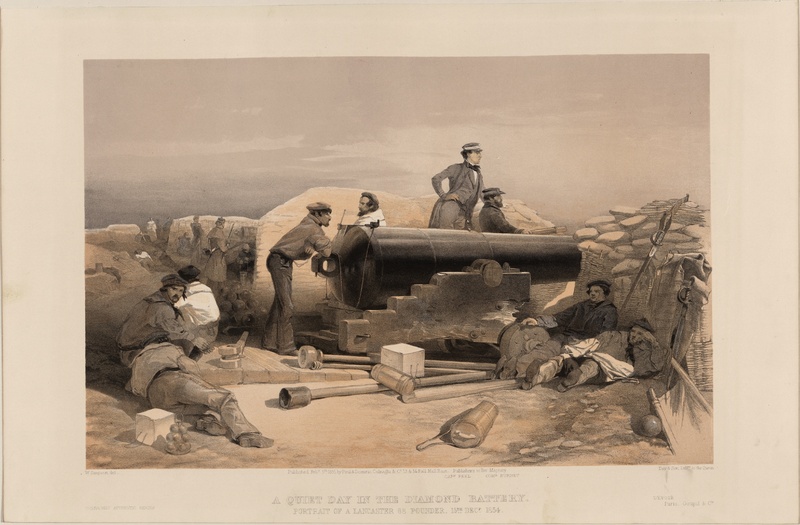 We see it first at the Battle of Alma – where infantry who had never before heard a gun fired in anger were commanded to lie down in the open and be hammered by the artillery of the incredulous Russians. For over an hour they lay there, choking with smoke, and spattered by the blood of the men smashed to pieces beside them – but it was in that hour that the legend was born. Frightened they may have been, and Timothy Gowing reported that ‘he felt horribly sick’, but eyewitnesses record how they laughed and joked under fire, how they gave the different guns names, and speculated on which would speak next, Jane or Mary. Some did indeed break ranks – but only to pounce on the hares that were dashing crazily round the field, and stash them safely under their coats for a supper that might never come. And when it was over, the fear was burned out of them. The order to advance sent them scorching forward through a hail of shot, shell and canister, splashing through the river under the very muzzles of the Russian sharpshooters, and all but running up the steep heights on the other side in their eagerness to reach the enemy and hit back. 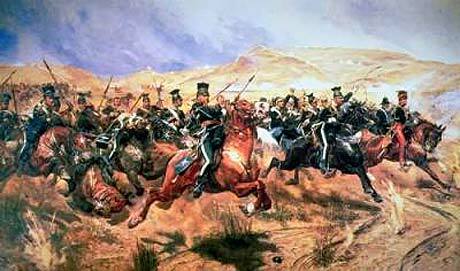 Colonel Lacy Yea of the Royal Fusiliers even shouted the unheard of order, ‘Come on – never mind forming! Come on anyhow!’ at which Wellington would undoubtedly have had a fit. A Private William Evans jumped to rescue the colour, but it was promptly snatched from him by Colour-Sergeant Luke O’Connor, who’d been shot in the same moment as Anstruther but still insisted on his right to carry it himself. It was the badly wounded O’Connor who planted it in the Greater Redoubt and kept it safe throughout the battle, an action for which he was later awarded the Victoria Cross. But it couldn’t last, and dreams of glory soon turned into the nightmare of a long siege. 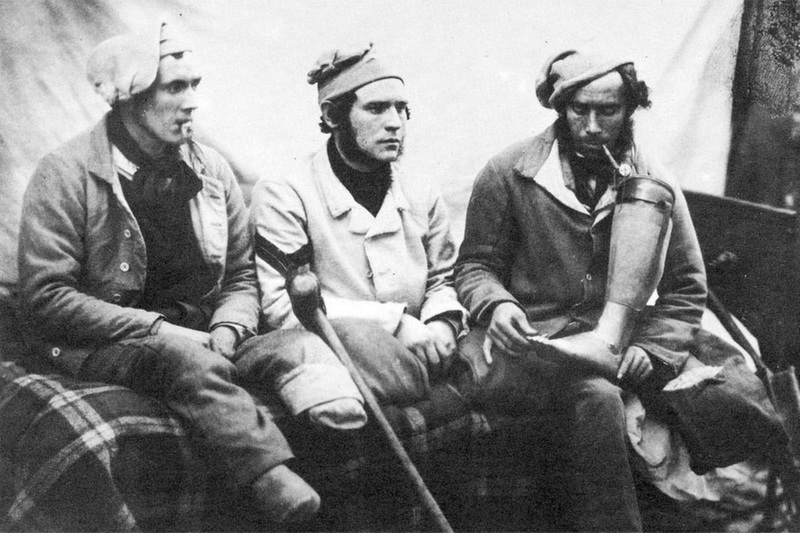 Sick, starving, and shivering in rags, the men the Times had called ‘the finest army ever to leave these shores’ endured the Crimean winter without even the most basic of supplies, and learned the horrors of trench warfare more than sixty years before WWI. In the end there was little left but stoicism, and a grim determination to see the thing through. This anecdote could have come from the First World War, or indeed from any war at all. 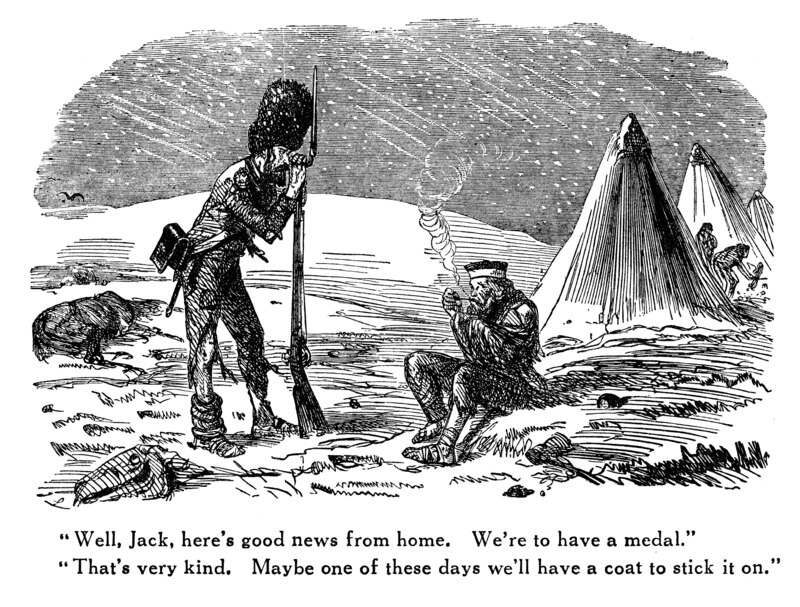 A veteran friend tells me this kind of stoicism is part of any soldier’s method of coping with horror that would otherwise destroy his mind – which means that perhaps my Crimean soldiers weren’t so unique after all. Whatever they might have been in the beginning, in the end they were just men, like any others in any war. But that’s actually my whole point – and why I’m writing this post. Our forces in Crimea were men, they were individuals, and they were real. They had personalities, they had homes and lives and mothers and sisters and sometimes even children. And where are they now? These people I’ve been talking about don’t even have graves. Many were buried in haste, but such military cemeteries as we did have were bulldozed on Khrushchev’s orders during the Cold War and nothing was left even to mark where they lay. Generals and common soldiers fared alike, and the fragments of bone still to be found scattered in the soil round Sevastopol might belong to Colonel Lacy Yea who gave that order to ‘Come on anyhow!’, or to young Anstruther who ran with the colour like a schoolboy, or to an ordinary seaman called Michael Hardy who died two months after the roundshot incident in the failed assault on the Redan. They’re all there, lost in the dust, two thousand miles from home. They’re not alone, and the cemeteries of our French and Turkish allies suffered a similar fate in the dark years. But the Iron Curtain is down, Ukraine is open, and new memorials have been built to honour the fallen of the Crimean War. The French have a magnificent complex with marble plaques, and the Turkish a beautiful memorial garden tended by local gardeners. That’s how much we care. All those flags and bugles and speeches about sacrifice – out of sight is out of mind, and this is all we really care. The Commonwealth War Graves Commission is concerned only with the World Wars, the War Memorials Trust only with monuments in the UK, and the British Legion only with the living. Nowhere anywhere is there an organization that cares for our fallen of the Crimean War. But some do care all the same. 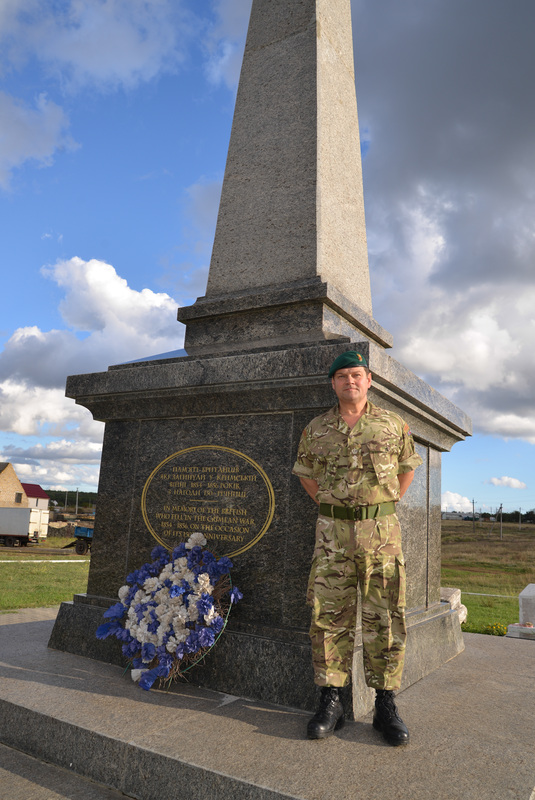 Colonel Jeremy Burnell, RM, Defence Attaché to Ukraine and the Republic of Moldova, is spearheading an attempt by the British Embassy, Kyiv, to build us a new memorial around an obelisk which has been gifted us by the Ukrainian government itself. The Embassy has obtained local permission, had plans drawn up, and is all ready to proceed. What they don’t have is money – and no public body whose business it is to provide it. That’s my ‘worthy cause’. I was physically sick when I saw that obscene memorial in Crimea, and to me it’s like a desecration of the graves of men I knew. It’s too late to give them graves now, too late to make up for the neglect they suffered in their lifetimes, but there’s still this one thing we can do to show our respect and gratitude for all they went through. We can help find the money to build them a memorial. We’re only amateurs who are doing this so far – people from the Crimean War Research Society and the Historical Writers’ Association, people who are passionate about history. If anything I’ve written here has helped you appreciate the men who fought in Crimea, then please visit us here – and show you care too. Just wondering if you know about the Haidar Pasha graveyard near Therapia/Tarabya on the Bosporus (where the Naval Hospital was). 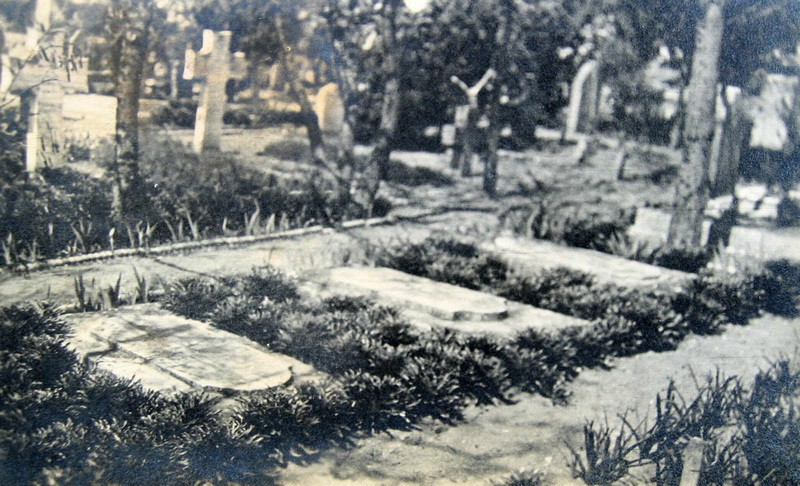 It is mostly known as a WW1 graveyard but there are Crimean graves there too. Hi Jane, I’ll pass on your query to Louise Berridge, who wrote that particular guest blog.